Christmas Countdown: Christmas is 8 weeks away! 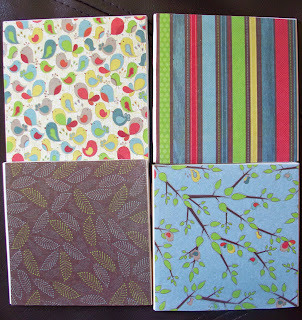 When I first saw the idea for coasters on Pinterest, a light bulb went off in my head. 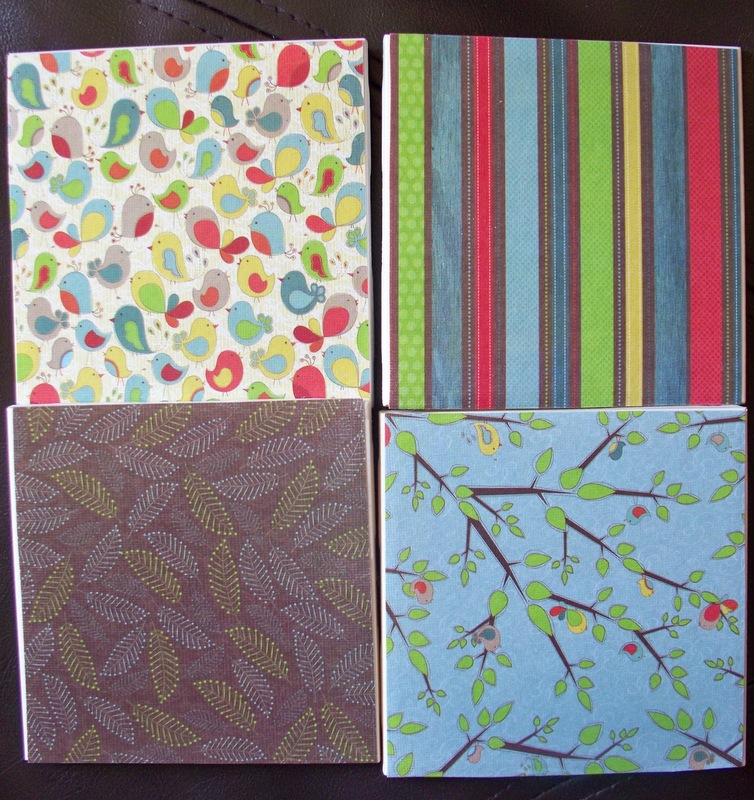 Instantly, I imagined all my friends and family receiving gorgeous coasters, all customized to their hobbies, likes and preferences. There so many reasons why I love this gift idea! Let's go through a few of them, shall we? First, the number one complaint of homemade gifts I hear from people is they never know what to make for the men in their lives. 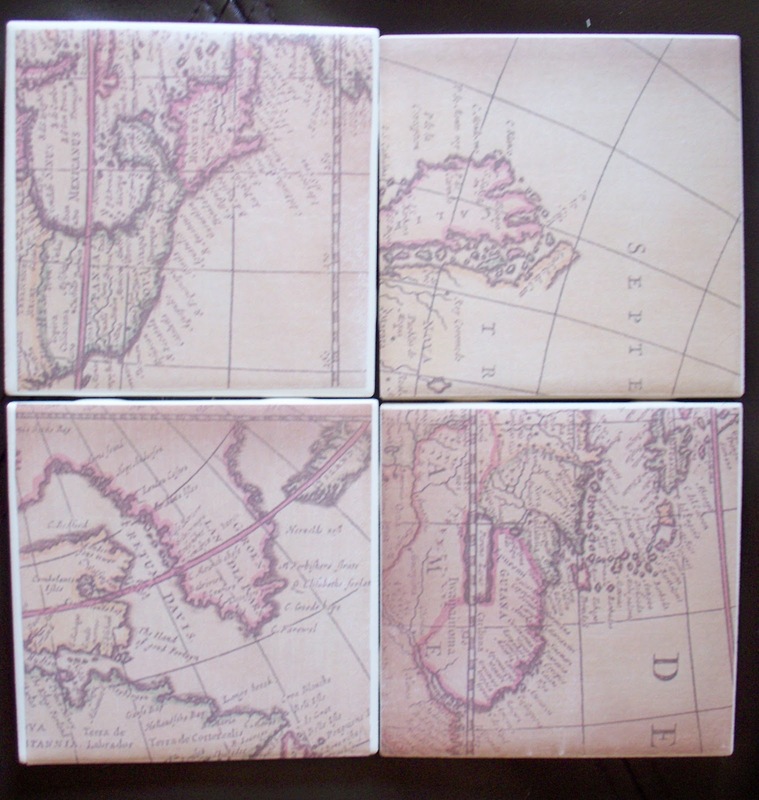 Customized coasters are the perfect gift! These are guy-approved and a practical and fun gift to boot. Not only are these perfect for men, but they're perfect for anyone. I especially love the idea of giving them as teacher appreciation gifts, graduation gifts, house-warming gifts - seriously, the list goes on and on. Using a ruler and a pencil, measure on the back of the paper where you are going to cut all four pieces. I measured just a little shorter than my piece of tile. Using a cutting instrument, such as scissors, or to be perfectly precise, an Xacto knife or rotary cutter on a self-healing mat, cut out all four pieces. Dip your sponge brush into homemade mod podge and dab off excess inside the mod podge container. While holding the piece of paper on the tile, brush the sponge brush over the paper. Make sure you brush the sponge on the sides of the tile as well. The paper on the tile should be thoroughly wet all over and should stick on its own after you stop holding the paper. Repeat with remaining pieces of tile. Spray all four pieces of tile with clear acrylic coating spray paint, making sure to follow the directions on the spray can. Measure out four pieces of felt in the color of your choice to complement the colors in the paper on the tiles. Cut them all out. Heat up your glue gun. Once heated, apply glue on the back of the tiles, working just one piece of tile at a time. Place a piece of felt over the back of the tile, onto the glue. Press down with your fingers. The red felt backing fits over the entire back of the coaster, so the coaster doesn't scrape against the table it's on. 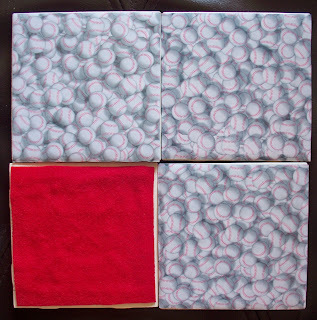 You could also do felt pads in each of the four corners, but I found it easiest and simplest to just do the whole back. They are really good for gift giving occasion. 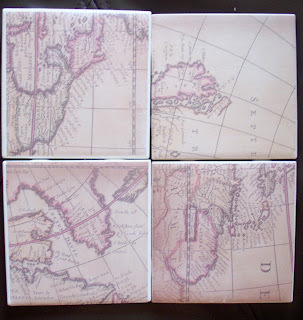 And thanks for sharing the tips on how to make this customized coasters although everyone love doing any handmade projects so for sure they also enjoy making these.